In the world fashion, there is a fixed rule – everything that’s once large, must go small. And everything that’s small must go mini. This is like a law, there’s no other way around it. So when Louis Vuitton first launched the Capucines Tote Bag, you could have predicted that the Capucines BB tote is coming. It was just a matter of time. And so when DIOR launched the Be Dior Flap Bag, it was just a matter of time that they would introduce the mini Be Dior Bag. And now back to Prada, can you remember the Galleria Bag, released in November 2013 – a gorgeous tote bag with a front flap and extra large closure. Well, here’s the mini version of it. The Prada Mini Galleria Bag is different than the large version – it’s a beautiful, boxy tote in a cute size. Crafted from patent saffiano leather, it’s a lovely bag if you’re looking for durability with style. It comes in different sweet colors like Celeste Blue, Red and even in Black if you love to go safe. Made with golden hardware and rolled tote handles, the brand’s triangle logo is crafted on the bag’s front. In the interior you can find a zip and open pocket to store all your essentials. 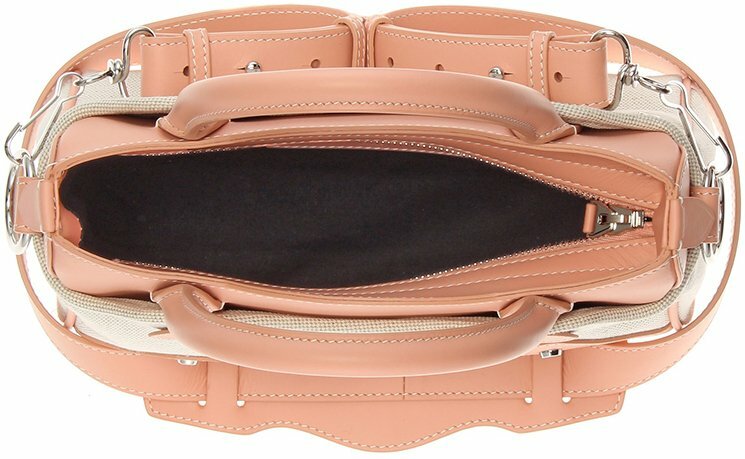 There is also a zip compartments in the frame front and back. It’s simple yet sophisticated, measuring 4.75’ x 6.5’ x 3.25’ (H x W x D) inches. There are moments in life that makes you stop and stare. You know… like when you’re just window-shopping and then find the bag of your life. Who has ever experienced that? Anyway, we saw the Gucci Mini Sylvie Bag and it makes us want to write about it. The color pink is perfect for the summer, don’t you think? And the golden hardware is the ideal match. The top flap is partly designed with the brand’s iconic print – green, red and green. The golden hardware is truly the finishing touch, as you can see… it bling. So when you carry it on the street, it will be ‘all eyes on you’. But the true refinement doesn’t stop there, Gucci has put a bow on the top and if you carefully look at the end of the bag, you will spot the golden finishing with stars. Can you say no to this? It comes with a chain shoulder strap (and also the bow). Made from smooth classic leather, the Gucci Mini Sylvie Bag comes with an interior open pocket, exterior gusset. Measuring 7.5’ x 5.5 x 3’ (W x H x D) inches, priced at $1950 USD via Gucci store. We are in awe of mini bags! It has long been a trend in fashion, and while the seasons come and go, there has always been a place for teeny pieces in the hearts of bag lovers (whatever the preference and taste they may have). 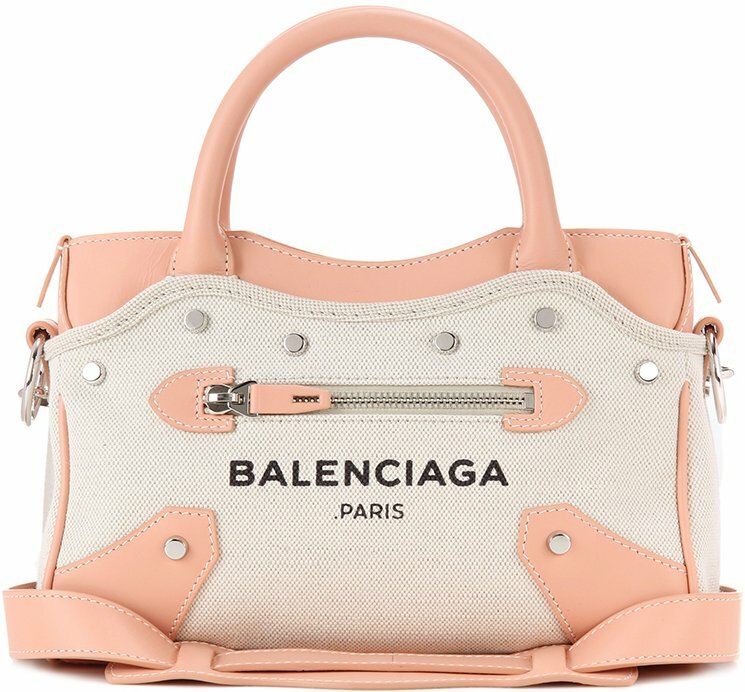 Today, we’re going to feature the Balenciaga Le Dix Raffia Soft Mini Bag, a perfect mix of classic and native elements that you’ll surely love! Italian-made and crafted, the Le Dix is stunning in classic calfskin and soft raffia, which are quite resilient materials known for withstanding years of use. 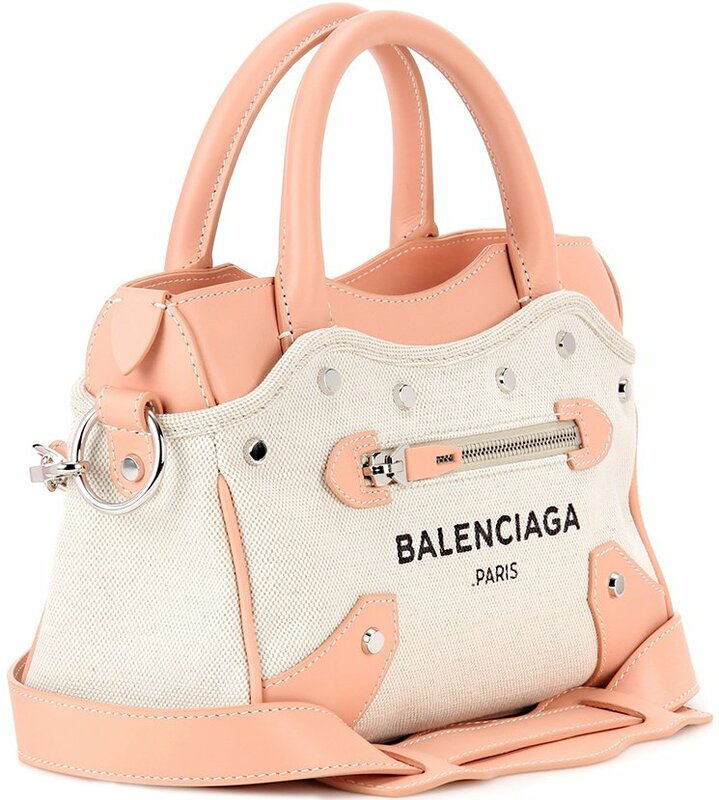 The bag also features a removable strap, which allows you to wear it as a crossbody or over your shoulders. Hands-free is always good! Also, it features a brushed horn flip-lock which is sure to secure all of your personal effects. It’s that easy! Fendi has more surprises in store for us this time! 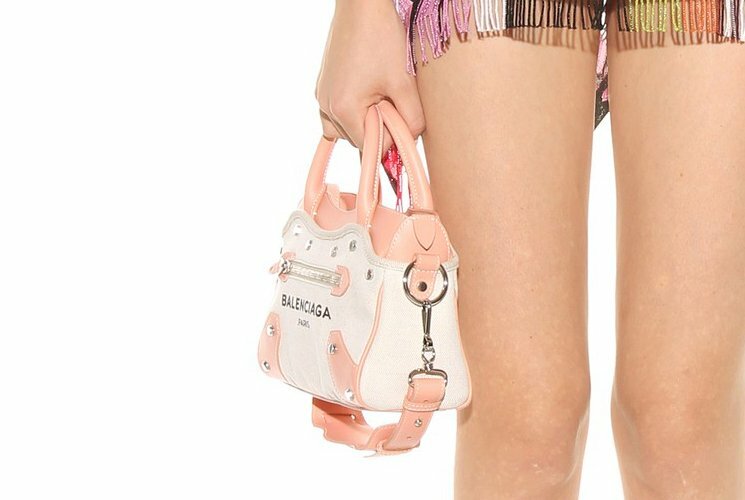 With the release of the Mini 3 Baguette Perspex Studded Bag, you’re sure to score more eyes on you…because it’s a scene-stealer. Don’t get too excited yet, because we’re still going to give you a walk-through on this funky and out-of-this world piece. If you’re a collector of quirky pieces, then we’re more than sure that you’ll love this! Measuring 12cm x 18cm x 4.5cm (H x W x D), the Mini 3 Baguette Perspex Studded Bag is not your ordinary statement piece – it’s fully functional! It has a detachable and adjustable leather shoulder strap and a front flap with clasp closure (which keeps all of your valuables intact). Its fab design element – the multicolored perspex studs – give it an alluring charm which is reminiscent of art pop themes. Inside, it even has two internal patch pockets, which give you more room to organize all of your stuff. It’s not just a funky piece, dear…it’s more than meets the eye. Priced at $2450 USD or €1700 EUR, you can get your very own Mini 3 Baguette Perspex Studded Bag via LuisaViaroma. Let’s explore a different kind of shine today as we walk through the different Dior bags (from the Miss Dior and Lady Dior lines) available this season! These shadow effect bags and purses are marvelous pieces of art that you shouldn’t miss! This blue lambskin stunner is as pretty as the skies above. We love how the block lambskin exterior melds beautifully with the shadow effect above. It also has a large compartment, a zipped pocket, an inside and outside flat pocket and seven card slots inside. Very functional, indeed! Feeling pretty bashful? Well, this old rose pouch is your piece! We love how dainty this baby is. As fascinating as the night, this black pouch is set to exceed expectations. It also shares the same functionality as other Miss Dior pieces in the same line. This Lady Dior piece has a zipped pocket, two gusset compartments, a flat pocket and sixteen credit card slots inside. I mean, if you can fit that much stuff in a stylish way, that would be the best! All pieces come in the brand’s signature Cannage stitching, which is very beautiful indeed. You can get your very own Shadow Effect bag via Dior e-store.